(Basta inserire un unità USB o una scheda TF per ascoltare musica in formato WMA/ MP3). IL TOP DEFLI ACCESSORI AUTO. UN OTTIMA IDEA REGALO. ECOUTEURS – OREILLETTE - KIT MAIN LIBRE – MIC – BLANC - AMSUNG - NEUF !!! 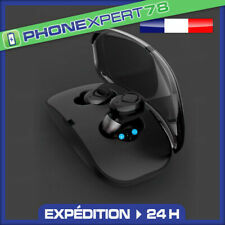 ECOUTEURS – OREILLETTE - KIT MAIN LIBRE – MIC – BLANC - SAMSUNG - NEUF ! SI PASSEE AVANT 12H. Avec microphone et bouton de télécommande pour prise d'appels et raccrochés. Le bouton de télécommande contrôle aussi la musique. Der neue Snap-In Adapter Connect Universal eignet sich für alle Apple iPhone Geräte mit Lightning Stecker. Somit können die Geräte 5, 5c, 5s, 6, 6 Plus, 6s, 6s Plus, 7, 8, 8 Plus, iPone X, iPhons Xs verwendet werden. 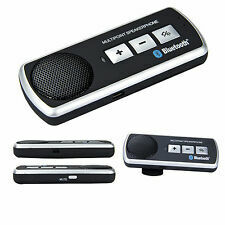 Majestic Car Automatic Handsfree System speakerphone with cables and microphone. 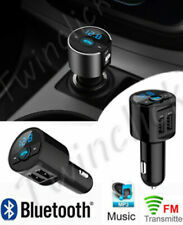 Sistema wireless vivavoce bluetooth autoMajestic Car Automatic Handsfree System con cavi e microfono. Parrot MK 6100 Blue Box Steuergerät Top! Nokia 6310 6310i. Connector Cable for Mr Handsfree Car-Kit Pro. Pairing capacity : maximum of 10 devices per MINIKIT Neo 2 HD. 1x Parrot MINIKIT Neo 2 HD. Noise reduction: Parrot NR v2.0. Echo cancellation: Parrot APA v2.0. Battery: Lithium Ion – 1000mAh. From its central base in Colchester, Essex. Über das Fahrzeugdisplay angezeigt. Die Tasten in Chromoptik verleihen dem Snap-In-Adapter ein hochwertiges, zum Fahrzeuginnenraum passendes Aussehen. Die Nutzung erfordert weitere Sonderausstattung. 【Crystal Sound Quality】Unterstützt a2dp, fortschrittliche rausch- und interferenzkompensations-cvc-technologie, erzeugt vollduplex-stereo-sound mit automatischer rauschunterdrückung und echokompensation; mit dem bluetooth fm transmitter können sie hi-fi für klare gespräche genießen oder ausgezeichnete wiedergabe. Einfache Installation Für alle Bluetooth-Handys mit Headset -/Handfree-Profil geeignet Es können bis zu fünf Geräte angeschlossen werden Synchronisation des Telefonbuchs Gesprächswiedergabe über Radiolautsprecher Vollduplex Spannungsversorgung über ISO-Stecker des Fahrzeugradios Anzeige von Telefonbuch und Anruferidentität . ╚ LIVRAISON GRATUITE ☎ EXPÉDITION SOUS 24H ! 3 neue LogiLink Teile im Set. Smartphone Halterung für den Lüftungsschacht geeignet 4"-6". Ericsson T68 T68i T200 T300. Connector Cable for Mr Handsfree Car-Kit Pro. Connector Cable for Mr Handsfree Car-Kit Pro. Nokia 2100 3410 3510 3510i 3650 6510 8310 8910 8910i. Jabra CRUISER tackles in-car noise head-on so you can enjoy a clear and hands-free phone conversation. 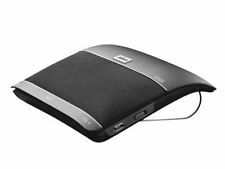 Jabra CRUISER is the revolutionary Bluetooth in-car Speakerphone that is equipped with Dual Microphone technology. Il kit per auto Bluetooth® mr Handsfree Blue Perfection è un kit vivavoce Bluetooth® avanzato con schermo LCD in combinazione con un'eccellente qualità del suono full duplex. Il Blue Perfection è disponibile in 4 versioni: scegli quello più adatto alle tue esigenze! Give your wheel a hand with the Motorola Sonic Rider Bluetooth in-car speakerphone. Sonic Rider is a simple solution for responsible driving. Compatible with all Bluetooth devices. Wireless Bluetooth range : Up to approx. 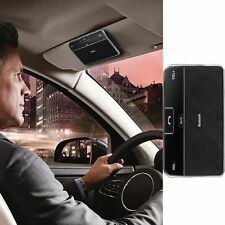 Bluetooth Wireless Speaker Phone In Car Kit Visor Clip. Do you want to play your digital music from your iphone or ipod or MP3 through your car stereo ?. 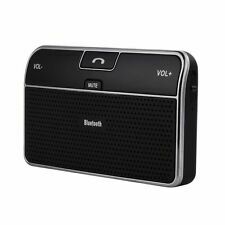 This Device Stereo Bluetooth Receiver Multipoint Speakerphone uses the newest Bluetooth 4.1 technology, which is ultra low power consumption and has super performance. Kompatibel zu: MKi9000, MKi9100, MKi9200. Cavo line out incluso per il suono attraverso gli altoparlanti dell'auto. 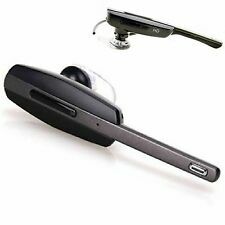 Jabra SP200 Drive N Talk Bluetooth Hands Free Car Phone Mic And Speakerphone. Condition is Used. Includes box, manual, and USB charging cable. Very gently used.Shipped with USPS First Class Package. (Bury CC9060 Music. Mazda CC9060 Music. NOT FOR: Bury CC9060/CC9060 Plus. YOU MUST ALREADY OWN THE MAIN CAR KIT. this screen is not compatible with any other model. 2) your screen holder MUST have the pin shown below. Mr Handsfree Carkit Pro provides an instant handsfree car kit with an unique all-in-one concept - it'll work with any almost any phone you own. Want to use a different phone?. Just plug in the matching cable and go! Laissez-vous porter par la musique. Profitez de votre musique sans aucune contrainte. -Couleur: Noir.